This is a Prey guide. Here you will find details on the psychoshock ability. You are not the only entity on Talos-1 that uses Psi abilities. 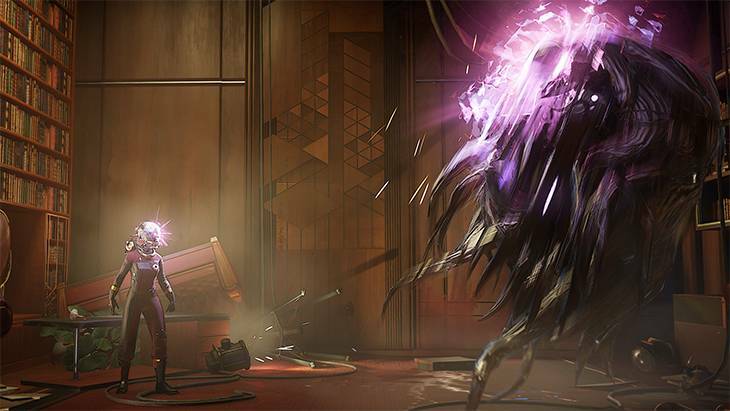 Enemies like the phantom or the telepath use psionic powers to deal damage from afar. Therefore, not only are you in dire need of a damage-dealing psionic skill, you also need an ability that nullifies psi abilities with a given amount of time. The Psycho shock is your choice for moments like these. A relative of the kinetic blast ability, the Psychoshock is an attack that hurls a ball of psionic energy that psychically damages biologic targets. It takes away 45 hitpoints and also nullifies psi abilities for 10 seconds. This ability is crucial when you want to fight heavily psionic entities like the telepath. Not only does the attack deal 45 hitpoints, it nullifies psi abilities for 10 seconds, allowing you a small opening you can use to take it out with another ability. Execute a direct psychic attack against biological targets for 45 damage and nullify Psi abilities for 10 seconds. Execute a direct psychic attack against biological targets for 65 damage and nullify Psi abilities for 15 seconds. Execute a direct psychic attack against biological targets for 90 damage and nullify Psi abilities for 20 seconds.